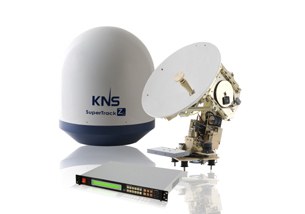 Astra2Connect provides highspeed broadband Internet to maritime terminals in Europe, using a Sat3Play modem and a KNS Supertrack Z6 and A9 antennas. H20 Satellite based in th UK offers up to 2Mbps down with prices starting at about €1039 per month, including the equipment. See the H2O information package brochure for further details. 20116 visits to this page since 28 Nov 2012.